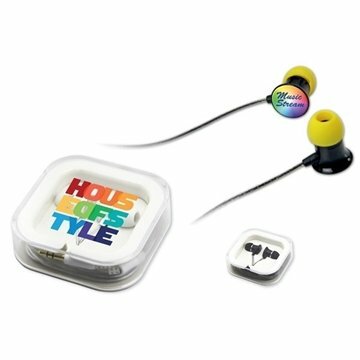 Quality metal earbuds with good bass & sound quality. 100 dB sensitivity, 20-20 kHz frequency. 3.5 mm Stereo plug. Like it!!! Precisely what we wanted. Thank you. I'm very happy with it overall. The imprint was detailed and legible. More availability regarding colors Loved the color and great cost. You guys did a great job with my logo.